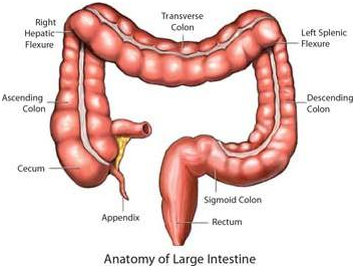 Colon (large bowel) is approximately 5 feet long and runs from right side of the abdomen to left encasing the small bowel like a photo-frame. It can be divided into cecum and ascending colon which are on right side, transverse colon which runs transversely across the abdomen as the name suggests and, descending and sigmoid colon on the left side. Colon also has two right angled bends called hepatic flexure on the right and splenic flexure on the left side. The concept of cancer surgery involves not only the resection of the affected portion of the bowel but also resection of the lymph-nodes along the blood vessels supplying that portion of bowel (radical surgery). So, the extent of bowel to be resected dependents on the vessels that need to be ligated in-order-to get adequate lymph nodal clearance. This could be right hemicolectomy (right colonic), extended right hemicolectomy (hepatic flexure), transverse colectomy (transverse colon) and left hemicolectomy (left colonic). In cases where there are multiple growths (synchronous) or genetic susceptibility to colon cancer, the entire colon may have to be removed (total abdominal colectomy or procto-colectomy). Laparoscopic colectomy is a standard procedure for colonic cancer which is routinely performed in many advanced cancer centers across the world. There is ample evidence to prove the safety and efficacy of this approach in all stages of colonic cancer. First meaningful trial comparing open with laparoscopic colectomy was conducted at Barcelona recruiting 219 patients. This study found that patients undergoing laparoscopic surgery not only had slightly better survival but also had comparable oncological results, faster recovery and shorter hospital stay. These results were later confirmed on long term follow-up. Following Barcelona study, the Clinical Outcome of Surgical Therapy (COST) study conducted a larger trial and published in the New England Journal of Medicine in 2004. This trial included 872 patients with colon cancer from 48 centers in the United States and Canada. They also compared the outcomes of laparoscopic with open colectomy. The patients were followed for 5-10 yrs. There were no differences in outcome between the two groups regardless of disease stage, in disease-free 5 year survival, overall 5 year survival and overall recurrence rate. 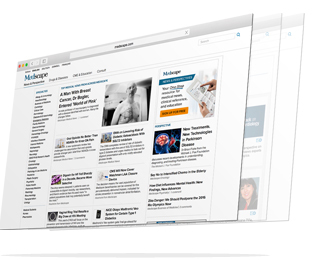 These findings confirmed the oncologic soundness of laparoscopic surgery for colon cancer. There were three more subsequent multicenter randomized controlled trials which yielded similar results. The Colon Cancer Laparoscopic or Open Resection (COLOR) trial is a Western European trial involving 1248 patients with colon cancer and from 29 centers. The UK based Medical Research Council Conventional vs. Laparoscopic Assisted Surgery in Colorectal Cancer (CLASICC) trial included 794 patients of colo-rectal cancers and the short-term Australasian randomized clinical study comparing laparoscopic and conventional open surgery for colon cancer (ALCCaS) compared 294 laparoscopic with 298 open colectomy procedures performed in 31 centers in Australia and New Zealand. Finally, the pooled data from the Barcelona, COST, COLOR, and CLASICC trials found three year disease-free survival and overall survival to be similar for open and laparoscopic surgeries. The findings remained similar when results were analyzed stage wise. These studies have confirmed the oncologic adequacy of the laparoscopically resected colon and the similar long-term oncologic results of laparoscopic and open colectomy. As with any new technique, there was a scare created in the surgical world about high rate of port site metastasis (upto 21%) following laparoscopic colectomy cases. The hypothesis was that CO2 pneumoperitoneum would enhance tumor growth and a ‘Chimney effect’ would force tumor cells into the port site. However, the COST group found only a 0.5% port-site metastasis rate and the Barcelona trial a 0.9% rate. These results are similar to wound recurrences in open surgeries and suggest that port-site recurrence was related to surgical technique. The presently available evidence is strong enough to call MACS for colonic cancer a standard of care for all stages. Segmental resections (resection of bowel without the draining lymphnodes) should be avoided at all costs. Patients with acute intestinal obstructed should not be considered for MIS. Preoperative tattooing of small early lesions is mandatory as there is no way to palpate the same intraoperatively. Cases following neoadjuvant chemotherapy should be selected carefully. However, there is no difference in outcomes for cases which have received chemotherapy vs those undergoing upfront surgeon. COST Study Group. A comparison of laparoscopically assisted and open colectomy for colon cancer. N Engl J Med2004; 350: 2050-9. Fleshman J, Sargent DJ, Green E, et al. Laparoscopic colectomy for cancer is not inferior to open surgery based on 5-year data from the COST Study Group trial. Ann Surg2007; 246: 655-62. Guillou PJ, Quirke P, Thorpe H, et al. Short-term endpoints of conventional versus laparoscopic assisted surgery in patients with colorectal cancer (MRC CLASSIC trial): multicentre, randomized controlled trial. Lancet2005; 365: 1718-26. Jayne DG, Guillou PJ, Thorpe H et al. for the UK MRC CLASICC Trial Group. Randomized trial of laparoscopic-assisted resection of colorectal carcinoma: 3-year results of the UK MRC CLASICC Trial Group. J Clin Oncol2007; 25: 3061-8. Hewett PJ, Allardyce RA, Bagshaw PF, et al. Short-term outcomes of the Australasian randomized clinical study comparing laparoscopic and conventional open surgical treatments for colon cancer: the ALCCaS trial. Ann Surg2008; 248: 728-38. Phillips EH, Franklin M, Carroll BJ, Fallas MJ, Ramos R, Rosenthal D. Laparoscopic colectomy. Ann Surg1992; 216: 703-7. Noel JK, Fahrbach K, Estok R, et al. Minimally invasive colorectal resection outcomes: short-term comparison with open procedures. J Am Coll Surg 2007; 204: 291-307. Faiz O, Warusavitarne J, Bottle A, Tekkis PP, Darzi AW, Kennedy RH. Laparoscopically assisted vs. open elective colonic and rectal resection: a comparison of outcomes in English National Health Service Trusts between 1996 and 2006. Dis Colon Rectum2009; 52: 1695-704. Wagman LD. Laparoscopic and open surgery for colorectal cancer: reaching equipoise. J Clin Oncol2007; 25: 2996-8. Baxter NN, Virnig DJ, Rothenberger DA, Morris AM, Jessurun J, Virnig BA. Lymph node evaluation in colorectal cancer patients: a population-based study. J Natl Cancer Inst2005; 97: 219-25. Lacy AM, García-Valdecasas JC, Delgado S, et al. Laparoscopy-assisted colectomy versus open colectomy for treatment of non-metastatic colon cancer: a randomised trial. Lancet2002; 359: 2224-9. Lacy AM, Delgado S, Castells A, et al. The long-term results of a randomized clinical trial of laparoscopy-assisted versus open surgery for colon cancer. Ann Surg2008; 248: 1-7. Veldkamp R, Kuhry E, Hop WC, et al. for the Colon Cancer Laparoscopic or Open Resection Study Group. Laparoscopic surgery versus open surgery for colon cancer: short-term outcomes of a randomized trial. Lancet Oncol 2005; 6: 477-84. Buunen M, Veldkamp R, Hop WC, et al. for the Colon Cancer Laparoscopic or Open Resection Study Group. Survival after laparoscopic surgery versus open surgery for colon cancer: long-term outcome of a randomised clinical trial. Lancet Oncol2009; 10: 44-52. Bonjer HJ, Hop WC, Nelson H, et al. for the Transatlantic Laparoscopically Assisted vs Open Colectomy Trials Study Group. Laparoscopically assisted vs open colectomy for colon cancer: a meta-analysis. Arch Surg2007; 142: 298-303. Jackson TD, Kaplan GG, Arena G, Page JH, Rogers SO Jr. Laparoscopic versus open resection for colorectal cancer: a metaanalysis of oncologic outcomes. J Am Coll Surg2007; 204: 439-46. Reza MM, Blasco JA, Andradas E, Cantero R, Mayol J. Systematic review of laparoscopic versus open surgery for colorectal cancer. Br J Surg2006; 93: 921-8. Kuhry E, Schwenk WF, Gaupset R, Romild U, Bonjer HJ. Long-term results of laparoscopic colorectal cancer resection. Cochrane Database Syst Rev2008: CD003432. Lacy AM, Delgado S, García-Valdecasas JC, et al. Port site metastases and recurrence after laparoscopic colectomy. A randomized trial. Surg Endosc 1998; 12: 1039-42. Johnstone PA, Rohde DC, Swartz SE, Fetter JE, Wexner SD. Port site recurrences after laparoscopic and thoracoscopic procedures in malignancy J Clin Oncol1996; 14: 1950-6.